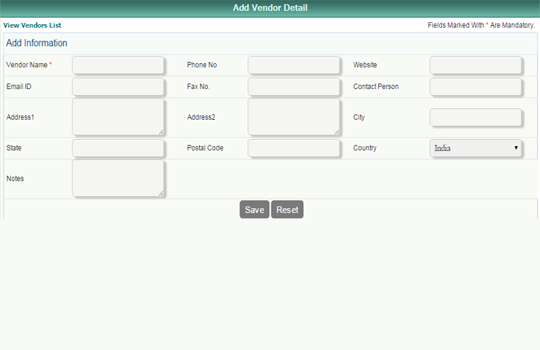 The C-PharmaVantage Pharmacy Management System is an application designed and developed to ease the work of a pharmacy. This involves the administrational functional related to various details like stock maintenance, sales list, purchase list, billing list etc. The C- PharmaVantage software with it's wide range of Modules and series of Reports make it a complete package for all types of pharmaceutical stores and chain of Pharmacy Stores. It helps in the better management by giving a clear picture to the Management. 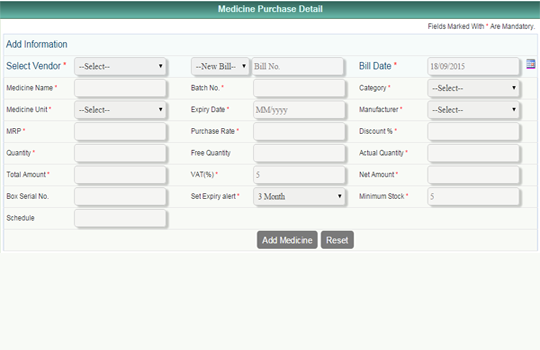 Medicine Purchase Request & Order. Drug issue to Patients and Billing. 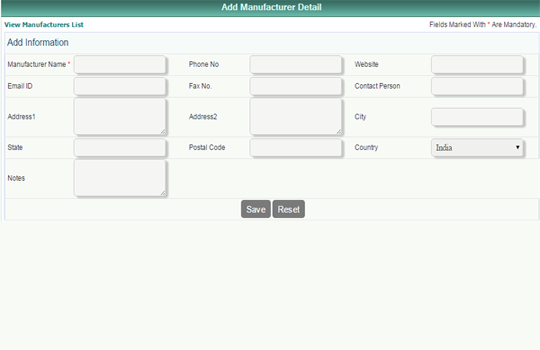 Automatic Reorder Level / Minimum Stock Setting. Alerts & Return of items nearing Expiry. Physical stock verification and adjustment. 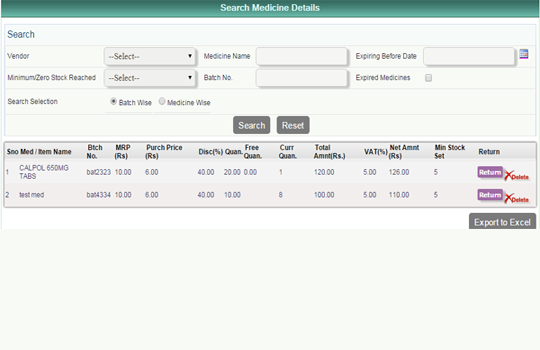 Stock in Hand reports with complete details of Medicines. Alerts facility on minimum or zero stock reached and on medicine expiry. Provision to store drugs stored box serial numbers. Provision to accept return of medicines by patients. Provision to return medicine to vendor. Pash cash and credit billing. 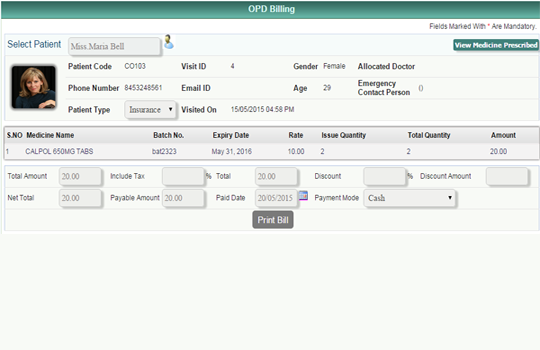 Authorize billing for recheck and then finalization of billing. Other activities like appointing staff, maintaining their database including their bio-data, fixing allowances and deductions, Loan and advances, termination process etc. 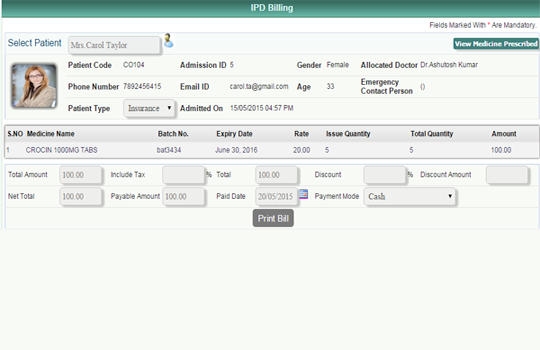 This module is an innovative and special feature in C PharmaVantage Pharmacy management system software. It enables all staff users to communicate among themselves electronically for official reasons rather than visiting the concerned person for any such discussions. Departmental message can also be sent by administrator which is common to the staff of that particular department. In a same way any kind of document can also be shared among other staff as per requirement. Thus reducing paper work and saves good time to utilize it in a better way for Pharmacy management. 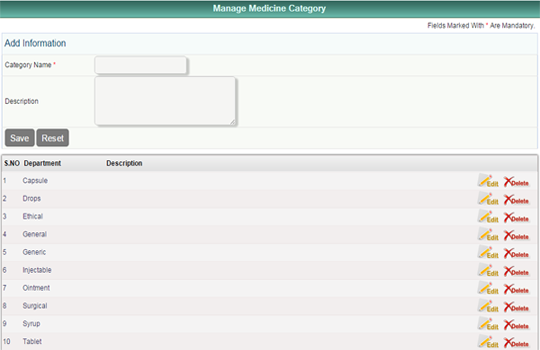 Import medicines database utility, helpful for pharmacy. List of patients consulting doctor wise. Billing rates for various Medicines.